Read more about this ozone bagging experience in our user's forum. In a group of 35 cases of acute diarrhea of diverse etiology, the use of a special preparation of bentonite** provided substantial relief in 34 cases ( 97 percent ). The causative factors included virus infections, food allergy, spastic colitis, mucous colitis, and food poisoning. The therapeutic efficacy of bentonite for acute diarrhea of diverse etiology was evaluated in a group of 35 cases. The causative factor was virus infection in 18 cases, food allergy in 8, spastic colitis in 4, mucous colitis in 3, and food poisoning in 2. The symptoms were diarrhea in 35 cases ( watery stools in 29, soft stools in 6 ), abdominal cramps in 30, anorexia in 18, malaise in 15, headache in 14, nausea in 13, and weakness in 7. The group included 25 females and 10 males. The average person was 51.8, with a range from 23 to 76 years. The average weight was 153.2 lbs., with a range from 92 to 260 lbs. A complete physical and routine urinalysis were made in every case to eliminate concomitant diseases which might affect their course of the diarrhea. Where indicated, laboratory and X-ray examinations were performed as part of the diagnostic procedure. Every effort was made to obtain a homogeneous group of patients so as to eliminate variables from the study. The standard treatment employees was 2 tablespoonfuls of bentonite in distilled water as a vehicle 3 times daily. In cases of food allergy the dosage was increased above 6 tablespoonfuls daily. Acute diarrhea was relieved by bentonite in 34 of the 35 cases ( 97 percent ) in an average period of 3.8 days, ranging from 1 to 4 days. Following treatment the number of bowel movements per diem was reduced from an average 4.0 ( range 2 to 6 ) to an average of 1.8 ( range 1 to 3 ). In the 18 cases of diarrhea due to virus infection the therapeutic response was unusually prompt. Hence in this group the average duration of treatment was 2.2 days with a range of 1 to 3 days. In the 8 cases due to food allergy the diarrhea persisted longer and on many occasions returned if the same allergenic food was eaten again. The concomitant symptoms were relieved in the following case percentages: Abdominal cramps in 24 of 30 cases ( 80 percent ), anorexia in 14 of the 18 cases ( 78 percent ), malaise in 12 of the 15 cases ( 80 percent ), nausea in 11 of the 13 cases ( 85 percent ), and weakness in all of the 7 cases ( 100 percent ). No side-effects attributable to the medication were observed in any case. Routine chemical and microscopic examination of the urine was negative in all 35 cases. A preparation of bentonite with distilled water s a vehicle was found to be safe and highly effective in the treatment of acute diarrhea. The diarrhea was relieved in an average of 3.8 days in the 34 out of 35 cases ( 97 percent ) of diverse etiology. The number of bowel movements per diem was reduced from an average of 4.0 to an average of 1.8. The concomitant symptoms were also effectively relieved in most cases, namely, abdominal cramps ( 80 percent ), anorexia ( 78 percent ), malaise ( 80 percent ), headache ( 71 percent ), nausea ( 85 percent ), and weakness ( 100 percent ). Fastest results were observed in intestinal influenza, in which the diarrhea was controlled in an average of 2.2 days. 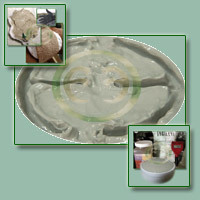 Bentonite is a native, colloidal, hydrated aluminum silicate. A survey of medical literature disclosed that hydrated aluminum silicate was used for centuries in China for summer diarrheas and cholera. Favorable results have been reported in cholera, bacillary dysentery, acute bacterial food poisonings, ulcerative colitis, and various form of enteritis. 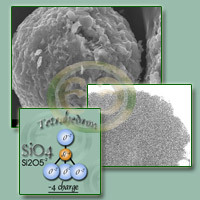 It has been established in vitro and in vivo that hydrated aluminum silicate adsorbs toxins, bacteria and viruses. This property helps to explain its therapeutic usefulness in acute diarrhea of diverse etiology. 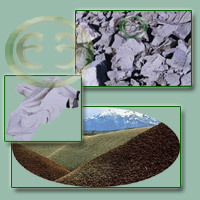 By virtue of its physical action bentonite serves as an adsorbent aid in detoxification of the intestinal canal.